Herman Cain's campaign promise--the "9-9-9" tax-reform plan--has invited universal scorn from pundits in a way I have rarely seen. "Dial 9-9-9 for Nonsense," sniffed the Economist. "Ill-considered, hand-waving improvisation," said the conservative National Review. But Cain's idea has caught the public's attention, and for good reason. 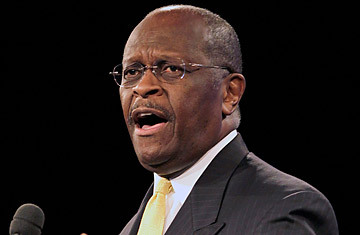 I am going to defend not Cain's specific policy proposals but their general thrust. His plan is sloppy and, in parts, bizarre. But the impetus behind it--tax simplification and reform--is not. The first 9 is a 9% income tax to replace the current tax code. Most Americans believe that the federal tax code is highly complex and fundamentally corrupt. They are right. The federal code (plus IRS rulings) is now 72,536 pages in total. The code itself is 16,000 pages. The statist French have a tax code of 1,909 pages, only 12% as long as ours. Countries like Russia, the Czech Republic and Estonia have innovated and moved to a flat tax, with considerable success. Complexity equals corruption. When John McCain was still a raging reformer, he pointed to the tax code as the foundation for the corruption of American politics. Special interests pay politicians vast amounts of cash for their campaigns, and in return they get favorable exemptions or credits in the tax code. In other countries, this sort of bribery takes place underneath bridges and with cash in brown envelopes. In America it is institutionalized and legal, but it is the same--cash for politicians in return for favorable treatment from the government. The U.S. tax system is not simply corrupt; it is corrupt in a deceptive manner that has degraded the entire system of American government. Congress is able to funnel vast sums of money to its favored funders through the tax code--without anyone realizing it. The simplest way to get the corruption out of Washington is to remove the prize that members of Congress give away: preferential tax treatment. A flatter tax code with almost no exemptions does that. Cain's second 9 is a 9% rate for corporate taxes, except that it's not really a corporate tax but a business-transaction tax. Still, the basic idea has value. The U.S. today has the second highest corporate tax rate in the industrialized world. And yet, of the 500 big companies in the Standard & Poor's stock index, 115 paid a total corporate tax rate--both federal and otherwise--of less than 20% over the past five years. Thirty-nine of those companies paid a rate of less than 10%. So we have a system that appears unfriendly to business, invites companies to game the system and raises only a modest amount of revenue.